The East Palestine Bulldogs held their signings today for their student-athletes. We wish them all the best in their future endeavors, and thank them for allowing us to share in their big day! Good luck at the next level, gentlemen. We’ll be cheering for you! Dominic Major Posey is the son of Marcy Beers and the late Kelly Posey, Brother Cameran and Sister Alexus. Dominic has participated in Varsity Football, Basketball, and Baseball, where he holds 3 school records. Posey is a YMCA Camp Counselor, Leaders of the Pack Mentor Program, Youth Sports Volunteer/Coach, and a member of Bulldog Pride Something to Bark About Role Model Program. Dominic is also active in supporting the community through programs such as Dog Days a Day of Giving and various church-related services support events. He was recently named the Winter Homecoming King and is an integral part of the schools Bulldog Café and Yearbook staff. Throughout his football career, Dominic was active in the YYFFA Flag Football program where he was a member of a National Championship Team Finalist in New Orleans. This summer Dominic will participate in the Penn/Ohio All-Star game at Geneva College. Upon graduation, Dominic plans to pursue National Security at Baldwin Wallace University as a student/athlete participating in Football. Go Yellow Jackets! Parker Steele Sherry is the son of Zach and Liz Sherry, and Sister Payton. Parker has participated in Varsity Football, Basketball, and Track, where he holds 12 records. He is slated to be the EPHS Valedictorian with a 4.0 GPA; he is a 4 year President of the Class of 2019 and current NHS President, along with serving as the School Board Student Ambassador. Some of his scholar/athlete accolades are: Marines Semper Fidelis All American, Wendy’s High School Heisman National Finalist, MaxPreps/Marines National Player of the Month, 3 Time WKBN Big 22 selection, WYTV Student/Athlete of the Week, Vindy Blitz Player of the Week, 2-Time WFMJ Taco Bell Player of the Week, National Football Foundation Scholar/Athlete, and recipient of the Lou Holtz 20 Under 20 Award. He enjoys volunteering with special needs students, serving as a YMCA Camp Counselor, a Bulldog Pride Something to Bark About Role Model, Leader of the Pack mentor, YYFFA athlete/alumni, and supports East Palestine Youth Sports programs as a coach/mentor. Parker believes in giving back to the community by supporting activities such as Dog Days a Day of Giving, Church Food Pantries, and the March of Dimes, and is a member of the Old North Church. This summer Parker will participate in the Penn/Ohio All-Star game at Geneva College. 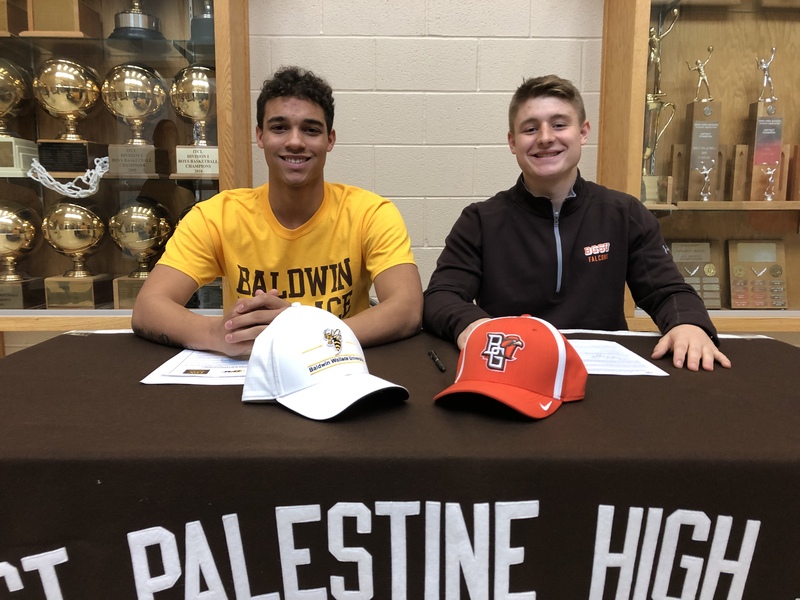 Beginning June 2019, Parker will be furthering his academic studies at Bowling Green State University where he plans to study business and will be a member of the football team. Go Falcons!